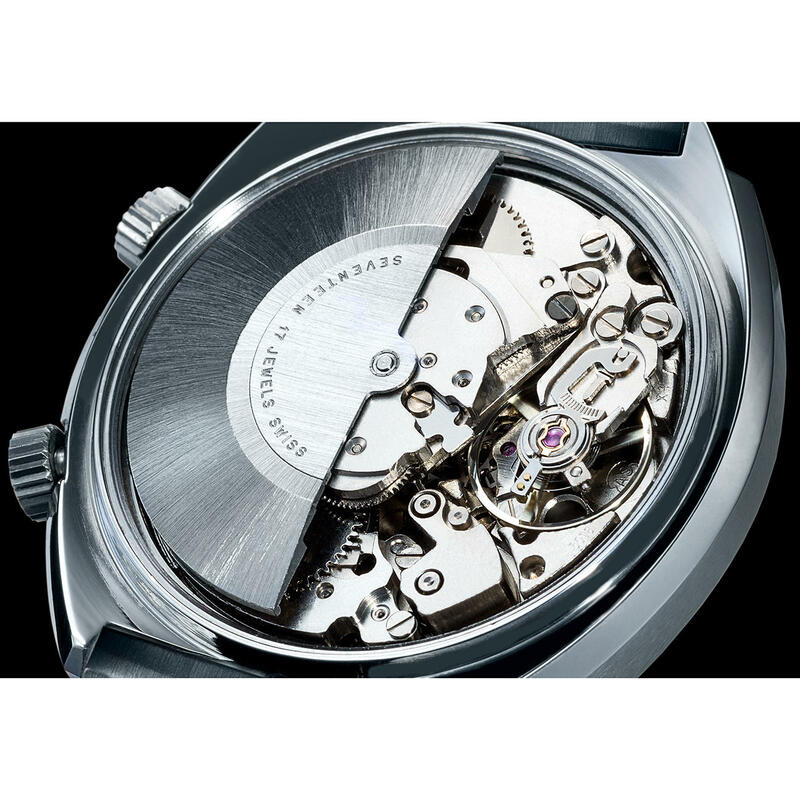 For the first time in history, a clockwork alarm could be produced with an automatic movement. A piece of watch history. Particularly rare and valuable thanks to the original matching case. A rarity for collectors: The wristwatch alarm with original clockwork and case from the 70s. 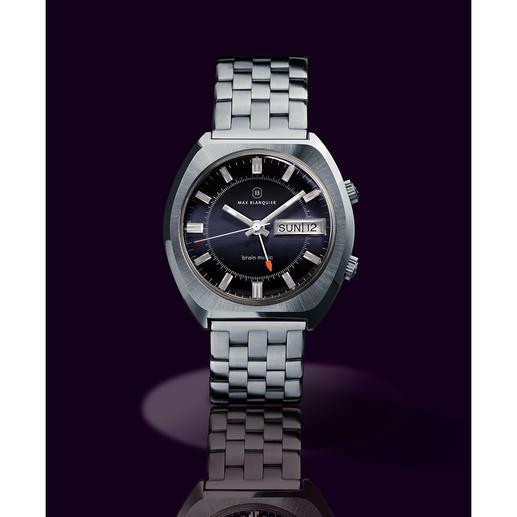 In 1973, Adolph Schild set a milestone in watchmaking: The automatic movement “AS 5008” with a display showing changing days and dates, and an alarm always ready for use. Only 175,000 of these patent-pending mechanisms were manufactured - and were mostly used in fine chronographs by renowned world brands. However, 300 were never used because, in 1975, quartz technology ousted mechanical watches from the market. These remaining historical treasures were stored at a Swiss watchmaker at Lake Geneva for more than 40 years. German company Blanquier recognised the potential and has made a limited edition watch with these clockwork mechanisms with cases. 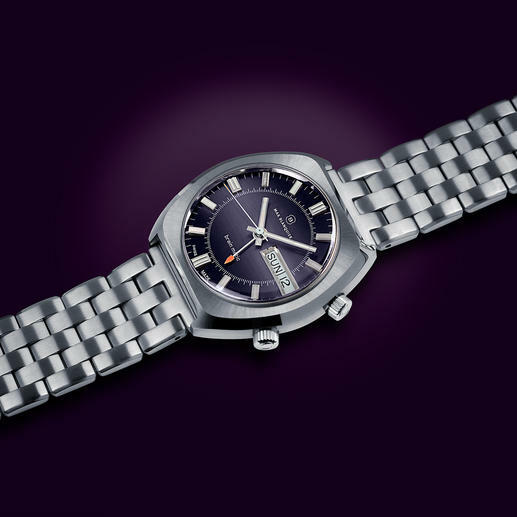 You are not wearing a fashionable watch with a retro design, but a true rarity with original parts from the 1970s. The black dial with silver luminous hands and time marks is easy to read. A window displays the day and the date. Automatic setting of mechanism and sound. Alarm clock (can be set through the lower crown) with accuracy trigger of +/- 2 minutes. Case made from stainless steel, original Plexiglas from the 1970s. 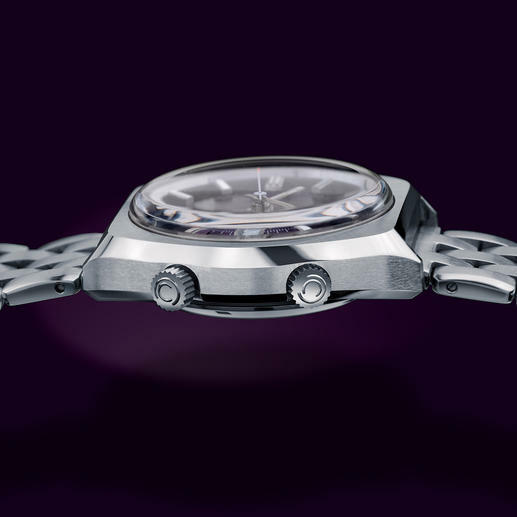 Width of the strap: 20mm (0.8"). Size of the case: 44 x 47mm (1.7" x 1.9"). Height, incl. glass: 14mm (0.6″). Weight: Approx. 132g (4.7 oz). Made in Germany.